One of the best ways to brand yourself as a real estate agent is to differentiate yourself. People have plenty of agents from which to choose. So, what makes you different? The National Association of Realtors claims to have more than one million real estate agents as members. This conveys the stiff competition real estate agents face in the marketplace. Clients have plenty of options when choosing an agent to buy or sell a property. Most purchasers and sellers make decisions based on relationships with real estate agents and not the company they represent. Therefore, it is important to build your digital brand as a real estate agent to foster better relationships with potential clients. So how do you stand out? Branding yourself as a real estate agent in the digital age is essential for success. Today, the process of buying property is not made by checking newspaper listings. Digital technology has changed the way in which the market searches for and purchases a property. Particularly, the “Generation Y” homebuyers are doing their home searching online or through a mobile device before reaching out to an agent. Your objective should be to have an appealing digital brand that converts these type of leads into clients. Your digital brand will also convey that you are comfortable using new technology to communicate—especially through email or text messages. Overall, when you brand yourself as a real estate agent, it is crucial to weave technology into your offerings so you can effectively communicate with a growing segment of homebuyers. 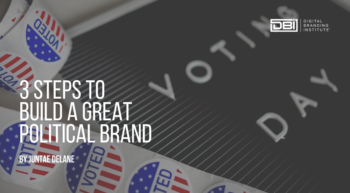 If you’re looking to step up your digital branding efforts, try these tips below. It is important to define your target clients and figure out what drives them to take action. Consider collecting demographic information such as their age, gender, personality, and profession. Then identify their pain points and how you can solve them better than competitors. Having a mobile presence is imperative for any real estate agent in the world today. So what will make them pick you? Creating an interactive website with information potential home buyers want is an important key to success in attracting potential home buyers. Having a social media presence is a must, especially if you are targeting first-time home buyers. First-time home buying is a process that is visible on the timelines of many social media accounts. People will post their dream homes, showcase their property renovations, and like/share real estate content. These engagements are breadcrumbs that will lead you to a new client. If you are active on social media, you can help to alleviate any of the challenges that person has while searching for or purchasing a home. DBI TIP: Follow your area’s real estate hashtags to discover who may be in need of an agent. @Deloitte says 47% of millennials are influenced in their purchases by #socialmedia. As you brand yourself as a real estate agent via social media, be sure to always keep your audience in mind. It’s not about you and your brand. It’s about the value your digital brand brings to anyone buying and selling property. Using social media is just as much about listening and engaging in other conversations as it is about posting your own. Many real estate agents underutilize social media as a tool to market a piece of property (they probably have a lackluster digital brand as well). If you have a strong digital brand, which includes an active social media presence, you can use that activity to differentiate yourself from the competition. Brand consistency is important when you brand yourself as a real estate agent. It reinforces your message and builds trust and credibility. Since there are some part-time agents that strengthen their business and brand part-time, they may be inconsistent with providing valuable content. So, even if you build your business part-time, you should build you digital brand full-time to foster trust and credibility from your target clients. Real Estate Mogul and Shark Tank Celebrity Barbara Corcoran is known for having built the most powerful real estate brand in New York City — and her success is predicated on developing and owning a trustworthy brand. To brand yourself as a real estate agent, you must have a consistent and compelling image, share your success stories, your curated and self-published content, and client testimonials. DBI TIP: Showcasing your current listings is important, but be sure to highlight the properties you’ve successfully closed as well. A high-quality, appealing logo can be great as you brand yourself as a real estate agent, but the real secret to increasing awareness and generating interest in your business is to use your logo in as many places as possible. As you continue to brand yourself as a real estate agent, people who are loyal to you are more likely to try out other services from you than your competition. Your digital brand may be a great connector to mortgage brokers, attorneys, appraisers, and moving companies. Developing your digital brand to include these service providers will convey the added value you bring a client and increase future referrals. Understanding your clients by identifying their pain points and how you can solve them is a great starting point when you brand yourself as a real estate agent. Additionally, having a mobile and social media presence is imperative for any real estate agent in the world today–especially if you are targeting first-time home buyers. Lastly, brand consistency is important when you brand yourself as a real estate agent because it establishes trust and credibility in the marketplace.